Beautiful winter weather. A crisp snow fall, blue skies, and bright sunshine. 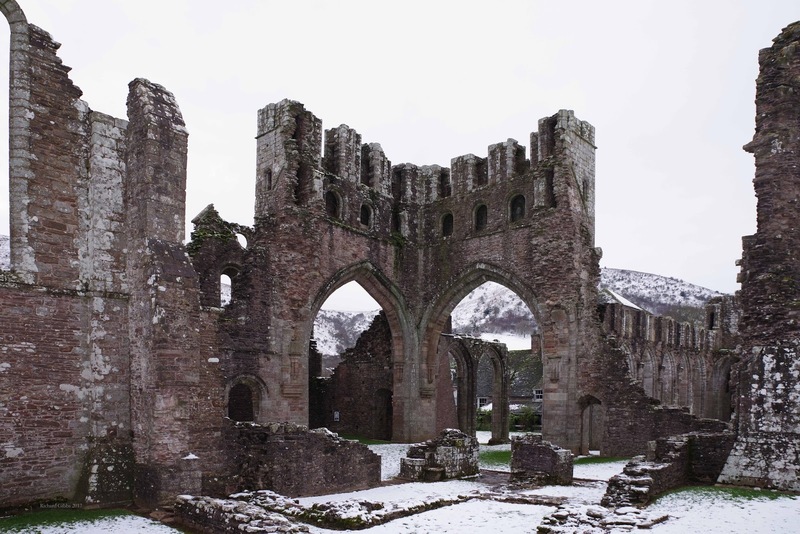 I drive up into Monmouthshire, past Abergavenny and into the Vale of Ewyas. 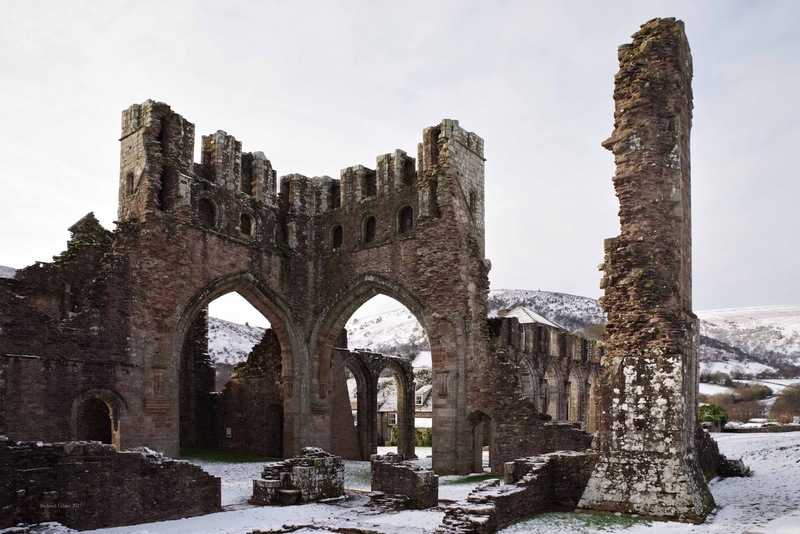 I stop at the ruins of Llanthony Priory, stark against the snow. 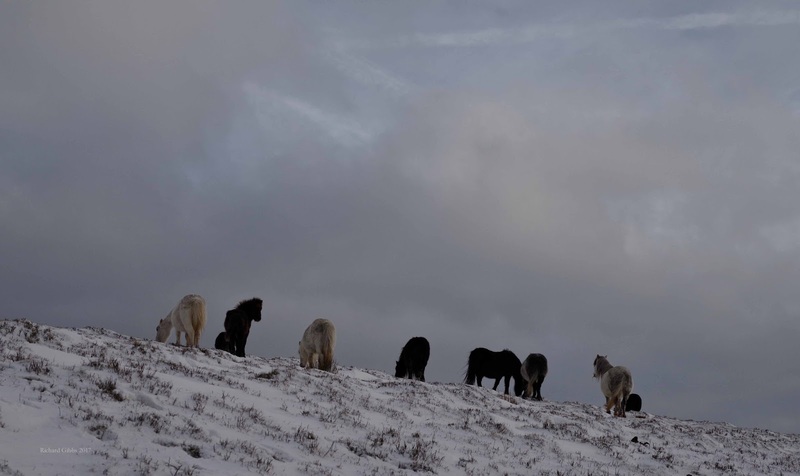 I take the trail up to Hatterall Hill, slippery in the cold, but well trodden by sheep and horses. At the top, Offa’s Dyke should greet me, but I fear the thick cloud rolling towards me from the west. It is clearly pregnant with snow, and has an unearthly colour, a little like pumice, so I decide to turn back. Or sort of. 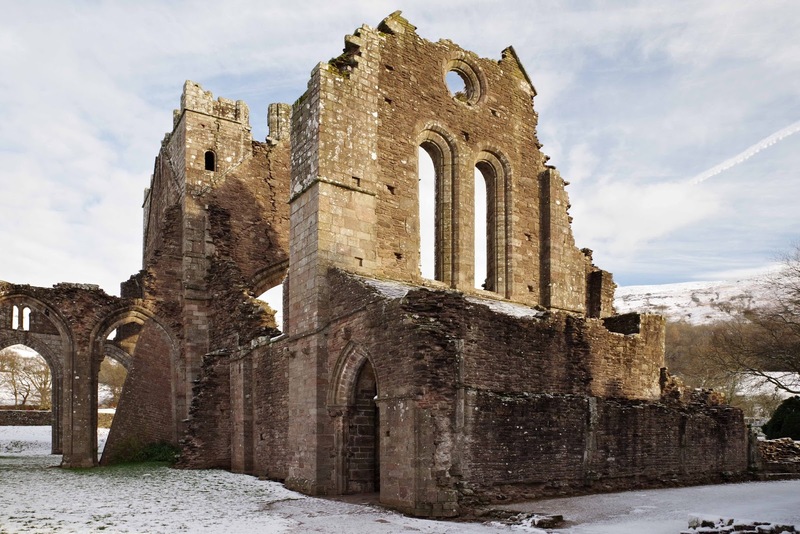 Rather than retrace my steps, I traverse the hill, following sheep and horses, keeping the priory in view. Not good hill craft! 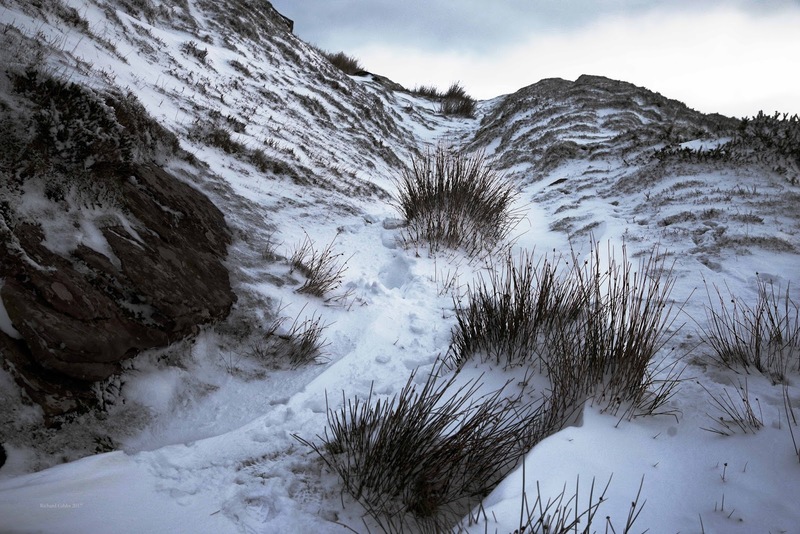 The snow hides the tussocks and covers the boggy stream beds. The hill gets steeper and, just when I thought I should have met the other path leading up the hill, I fall, plunging into snow and grass, mud and rock, and hearing tendons in the back of my left knee twang like Bert Weedon. Ow! But, fortunately, nothing is broken. There is no one to help me, so I limp twistedly on down the every steeper hillside, nursing the image of my corpse being pecked by ravens. 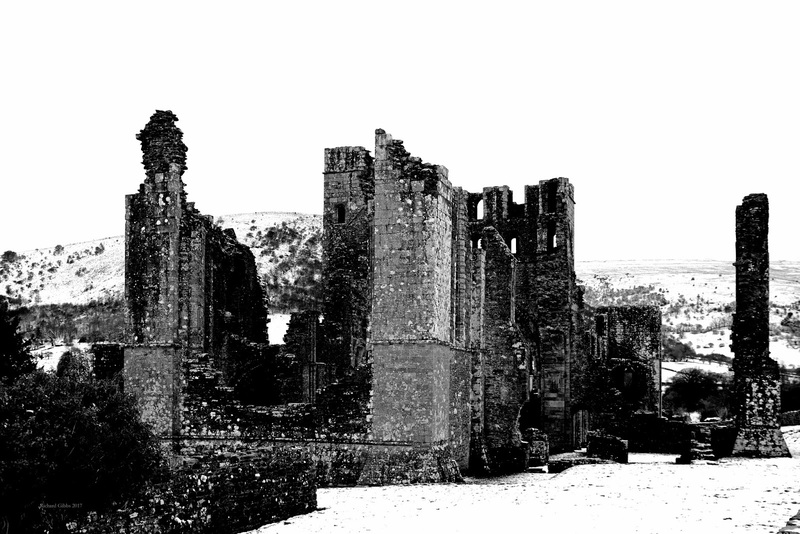 Then, eventually, cold and stiff, I gain a level track and return across the snow fields to the haunting, black ruin of the priory. 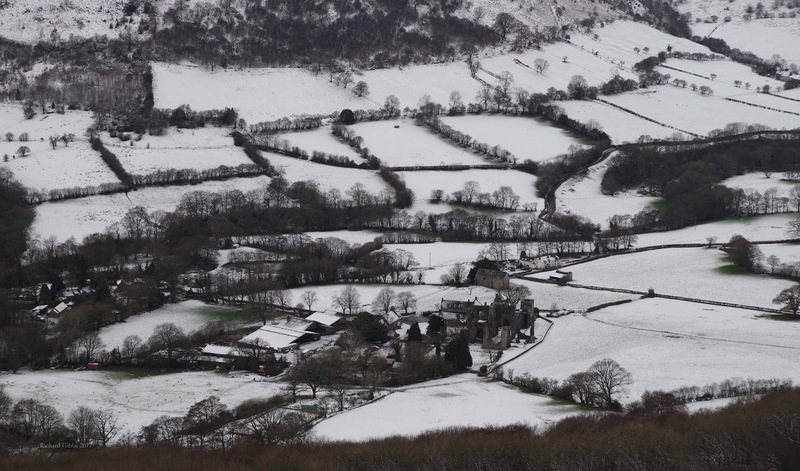 Where, fortunately, the under croft houses a hotel bar, and warming soup is on offer. So much for this winter wonderland. The sky has darkened, the air is chill, and it’s time to head back out of the vale of tears. 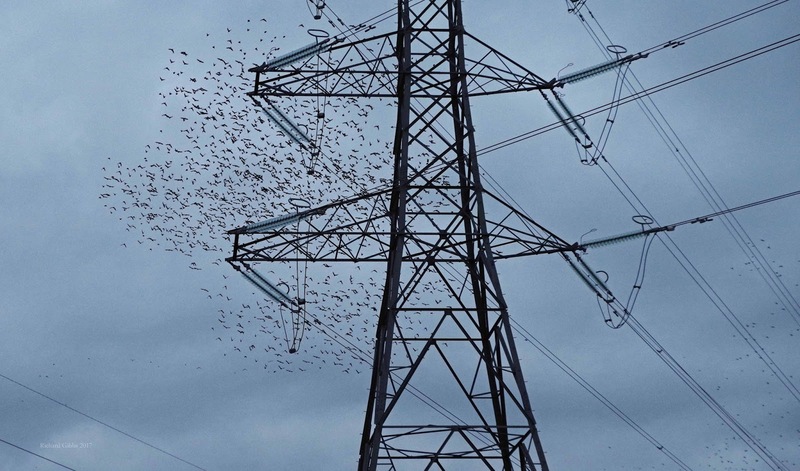 But on the way, before recrossing the Severn, I stop by at RSPB Newport Wetlands, to wish the starlings a murmured good night. 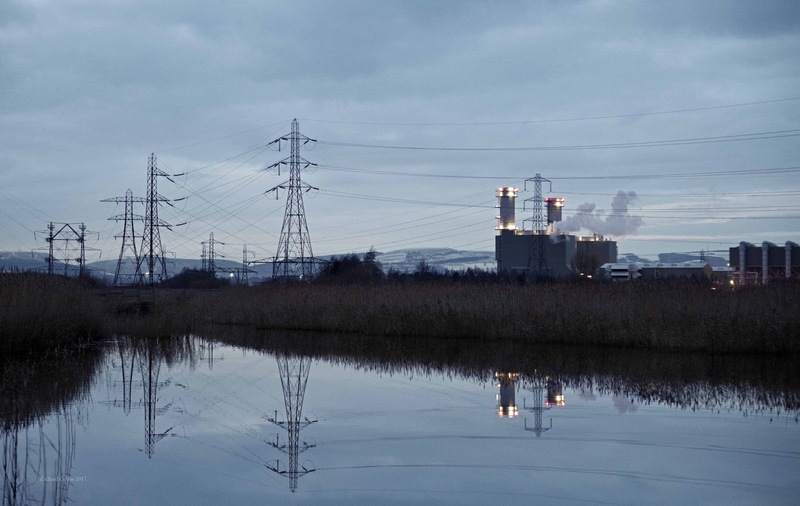 At dusk, thousands of them warm their toes on the electricity cables strung high on the pylons that stalk out from the power station, which glows in the gloom. Then, magically, tens of thousands of them burst into coordinated flight, wheeling and fluttering across each other in a short display of solidarity before plunging, chattering, into the vast brown reed beds before the beach. In a moment, as the dark slips down like a hood over us all, the reeds are twittering and rustling as the birds settle. Then all is quiet. There is no one around. 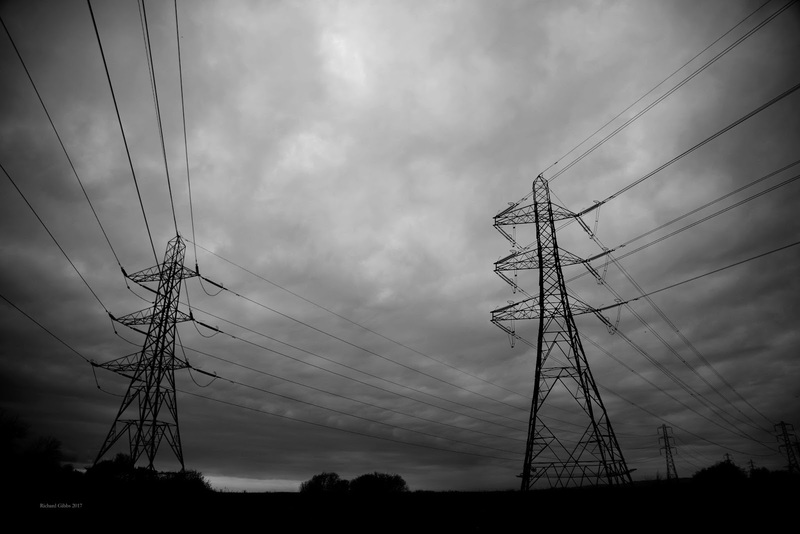 The cables hum faintly. The lighthouse stares dimly across the estuary, and night gathers. On the way home from Bristol the next morning I encounter the crowds, out enjoying the winter wonderland of the M4 and M25. Five hours it takes, averaging about 45mph on the bleak, slippery M4, and then down to a nose to tail crawl on the M25, shuddering over encrusted ice, and sweeping away the snow flakes. The Christmas Decorations – red lights saying 40 or 30; yellow messages saying, SLOW, INCIDENT AHEAD, or QUEUE AFTER JUNCTION, and, more merrily, SLOW, SNOW! at least brighten up the Home Counties' nightmare. Too many cars; too much weather. 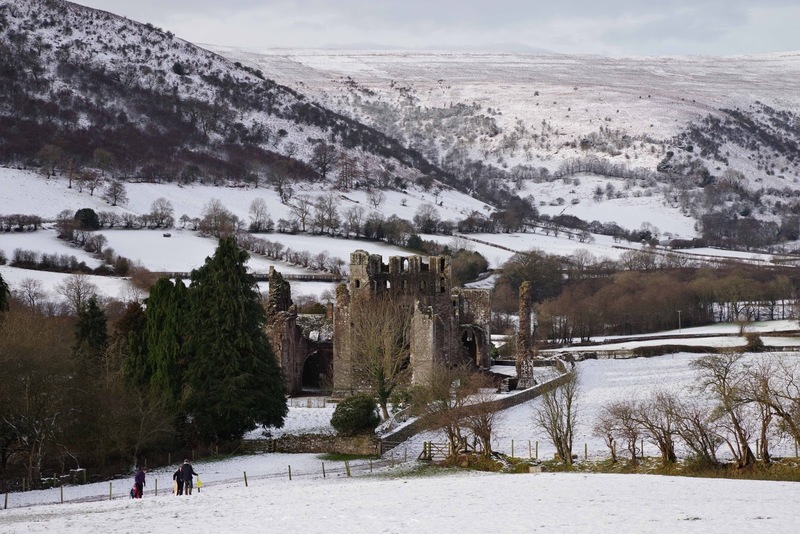 The great British Christmas!